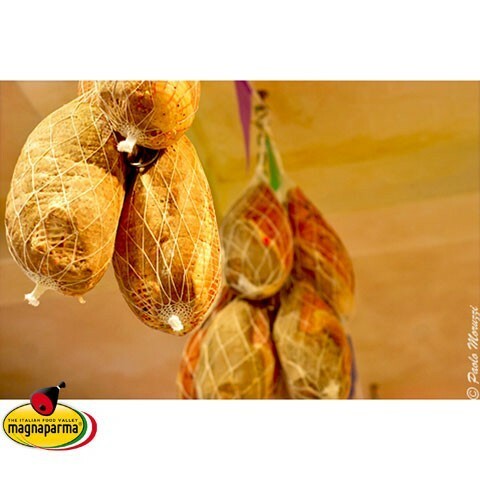 The best quality meat of Culatta covered with rind like the ham. A great quality cured meat that will satisfy even the most discerning palates! His extraordinary softness enhances its delicate but persistent flavor, enough to make it truly irresistible. It is obtained from the leanest and finest part of the thigh of heavy Padano pig. 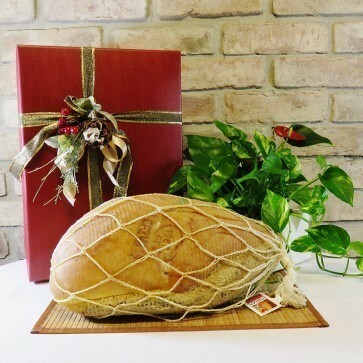 The rind, that covers a great part of it, and the layer of lard and salt, also used in producing the ham, make this meat special for its quality and taste. 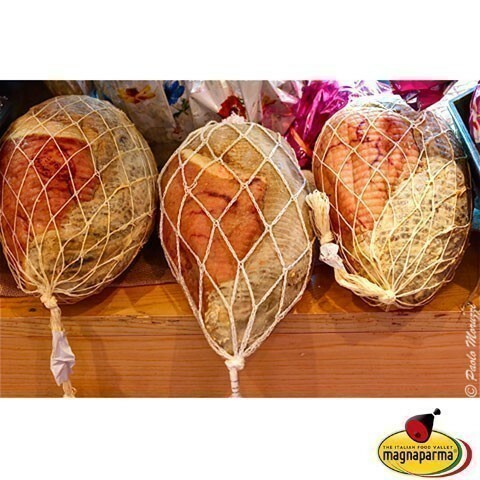 Culatello with the rind is a good alternative to the ham, because of its taste and softness. Each slice is really a great pleasure! Its slices are always the same, from beginning to end. Produced in the province of Parma,from Salumificio Frati Carla & c. snc which has been selecting the best cured meats for over fifty years. The company produces and supervises the production of the cured meats and their ageing, to guarantee the highest quality. Pork, salt, spices, natural flavors, dextrose,. In a cool and damp environment . Once sliced cover the cut surface with a cling-film. Wrap the meat in a cloth and store in the fridge. Keep the slices into a plastic box in the fridge.